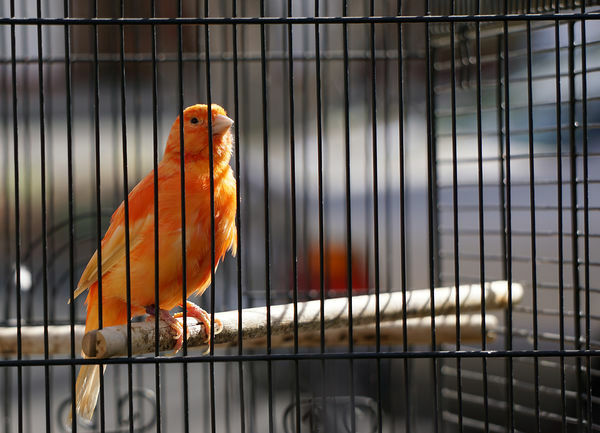 Red factor canaries are usually not what we think of when we hear the word “canary”. The image of a canary that likely comes to mind is a small yellow singing bird, rather than its pale peach to vibrantly red-hued cousin. While both are canaries, red factor canaries are a hybridization from yellow canaries, and are bred and prized for their color instead of their song. But red factor canaries can’t maintain their red color on their own. Just like flamingos which must be fed shrimp or clams that are rich in carotenoids to keep their feathers rosy, red factor canaries rely on a special diet to achieve deep red or orange colors feathers. Food with added canthaxanthin and powered supplements are an easy was to ensure your bird is eating a regular balanced diet and still consuming the pigment needed to boost the red coloring of its feathers. For a versatile supplement that can be added to your bird's diet through any food or water, Quiko Intensive Red is the ideal solution. 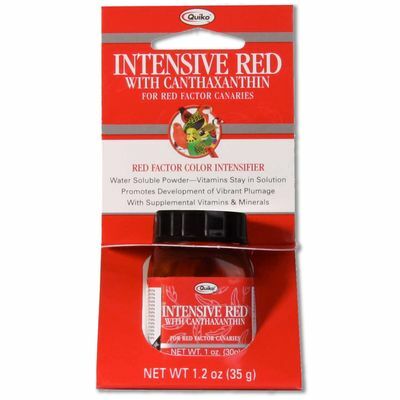 Designed as a supplement specifically for red factor canaries, Quiko Intensive Red contains canthaxanthin to help preserve brilliant red coloring. It also has a regular balance of vitamins and minerals, making it a good all-around health supplement choice for your bird. When should you provide red plumage boosting foods to your red factor canary? There are two common separate ideas of thought to answer this. Canthaxanthin doesn't do much for the color of the feathers already visible on a bird, but it will enhance the color of feathers waiting to grow out after molting. For this reason, some bird owners prefer to give their red factor canaries a color-fed diet just before and during molting. Other bird owners color-feed year round, which is said to create a much more vibrant red coloring. Whatever method you choose, make sure your canary is getting enough protein and vitamins particularly during molting season, which can be stressful for birds. 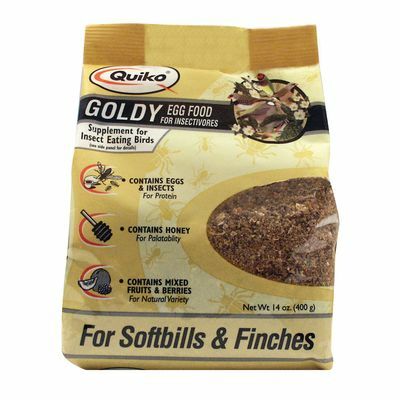 For molting red factor canaries, try offering Quiko Special Red Egg Food as a snack or treat. It's made with real egg and contains red color-promoting canthaxanthin, in addition to many other key vitamins and minerals birds need such as biotin for feather development, Vitamin A for immune system support, and Vitamin D3 for calcium utilization and egg formation. Red factor canaries are a hybridization of the common yellow canary and the red siskin. If You Like That, You'll These! 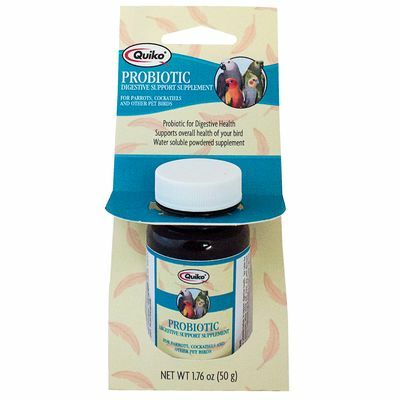 Concentrated powdered probiotic supplement to give birds extra digestive support daily or during times of stress. Softbill and finch food supplement made with protein-rich whole eggs and insects.